The Vercors Massif, to the south-west of Grenoble, rarely disappoints. I’ve called it the most under-rated cycling region in the Alps. 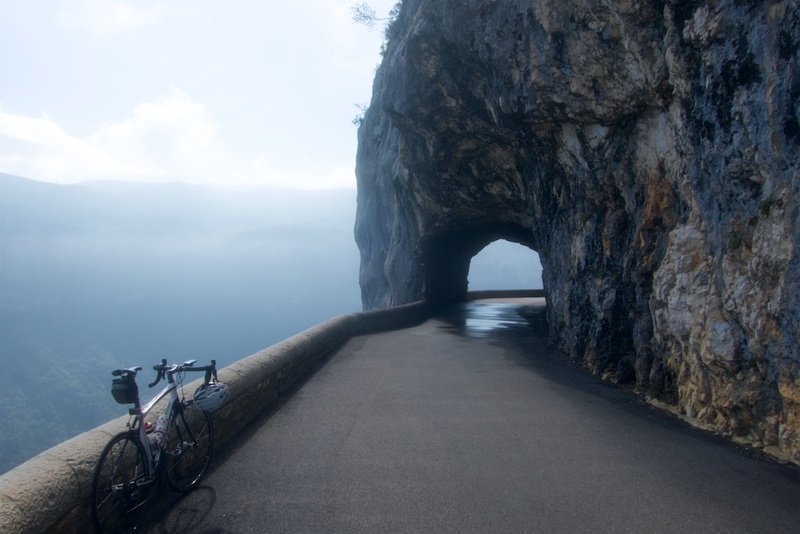 Not the highest cols, but it’s full of quiet, jaw-dropping gorge and cliff roads. 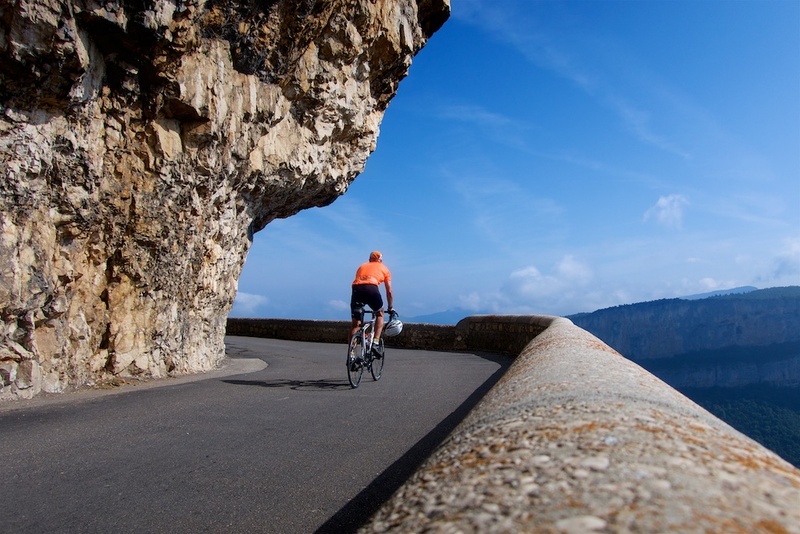 See here for another favourite ride, and here for a longer list of Vercors rides. Combe Laval is a reculée (steephead valley), a deep, narrow, flat-bottomed valley with an abrupt ending. In the 1890’s a cliff road was built up to and along the top edge of this valley. The “fun” stretch is the last two or three kilometres of the climb to Col de la Machine. I am nervous about heights sometimes. I had my drone with me but was struggling trying to set-up photos standing on the cliff edge of this road. It’s clearly well built, but yikes, what a place! It only lasts a couple of kilometres, but it’s crazy fun. This arch is exactly on the 45th parallel. After the cliff road is Col de la Machine. The road splits here. Either direction works. 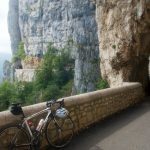 Here’s an old ride where I went left, to Col de Carri, and down through a beautiful gorge. But today I went right, heading for Col de la Bataille. 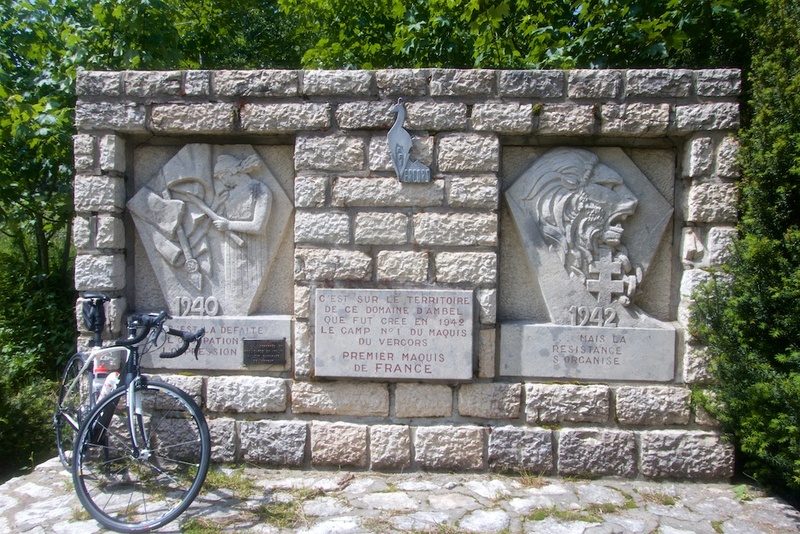 The Vercors was a major base for the Maquis (French Resistance) in World War 2, and one always sees lots of monuments and memorials. 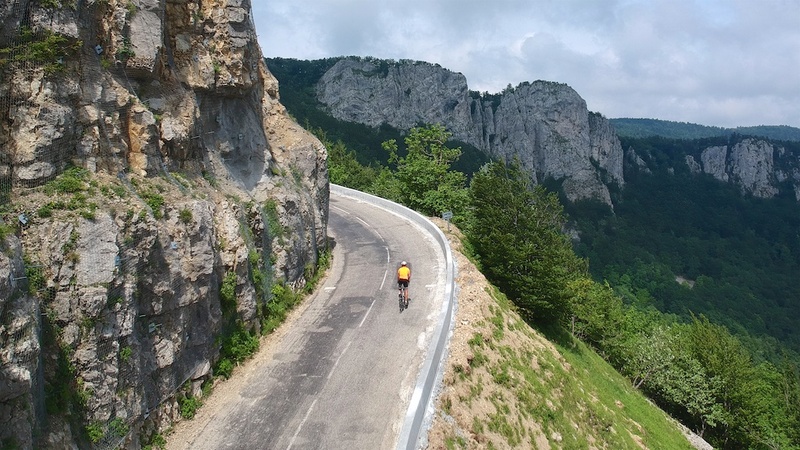 After Col de la Machine, it’s pleasant up/down cycling all above 1000 metres that gets more and more impressive as Col de la Bataille approaches. The Col itself is beautiful, with fantastic views in every direction. 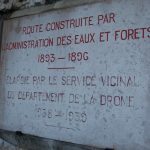 There are endless route ideas here and as I descended I passed an intersection with Col des Limouches in one direction and Col de Tourniol in another. But I kept it simple and descended all the way to the start down a beautiful gorge road. 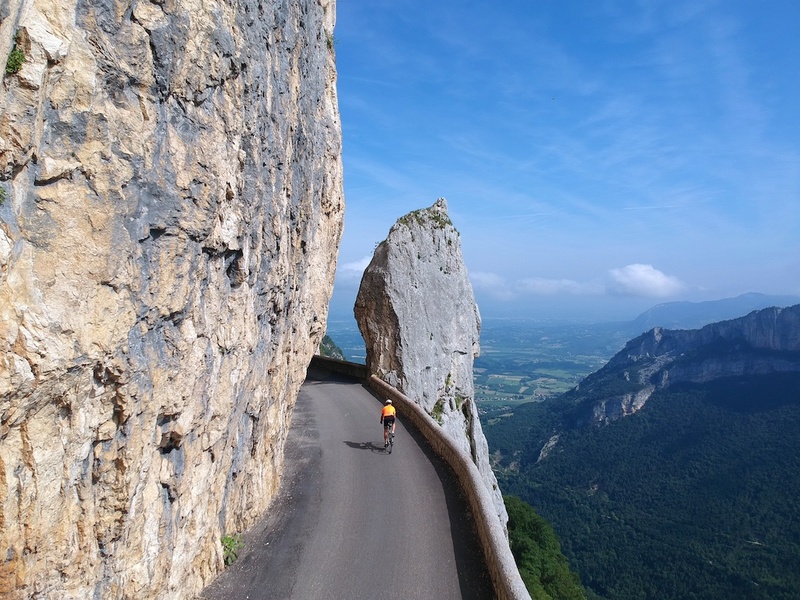 Note, halfway down it passes the turn up to the Relais de Musan – a super climb to a telecommunication tower and fun cliff views – see this old ride. I’ve been working on a longer post mapping out a bunch of Vercors rides, both my routes and some official routes that I’ll hopefully publish soon. 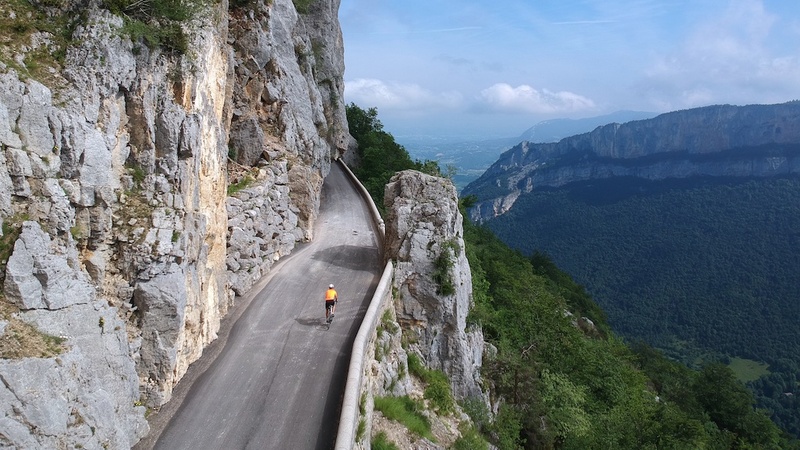 For now, I’ll just highly recommend cyclo-tourists adding the Vercors Massif to any alpine plans. 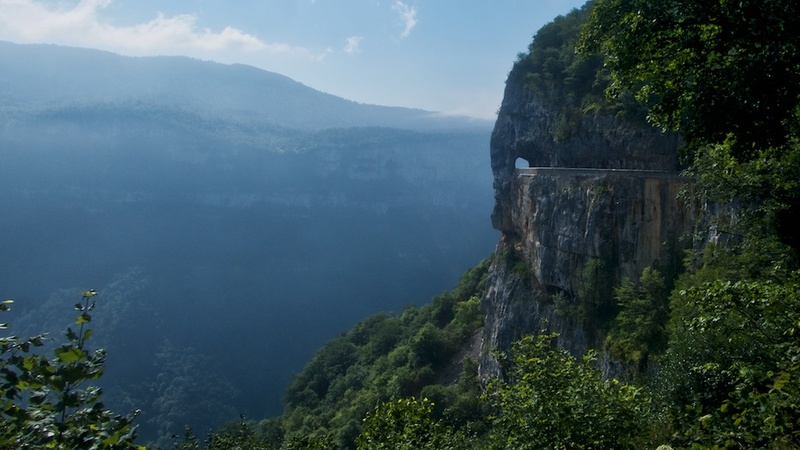 This is a very good Vercors loop that is made extra special with the truly jaw-dropping cliff road at Combe Laval. Another excellent blog and stunning photos. 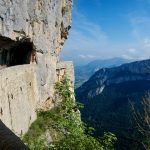 We are planning our summer vacation and cannot decide between Vercors/Verdon or Switzerland. What do you recommend??? I honestly don’t know how to answer that without knowing more. Switzerland could mean so many different things. It depends what sort of riding you are looking for. But Vercors could certainly be a great base for a few days. Thanks Will. Probably looking at Vercors now as budget is an issue. Also just wanted to say what a wonderful resource your website is. I am lucky to have a wonderful wife who has planned holidays around cycling up mountains, and your advice has been brilliant. Although she didn’t enjoy Col De Allos quite as much as me. A very scary descent for her. She actually got off and walked! Keep up the good work. Switzerland in august, some passes have a lot of traffic cars and motos. Is my experience of last summer. Thanks again Will for taking the time to share your adventures with us. 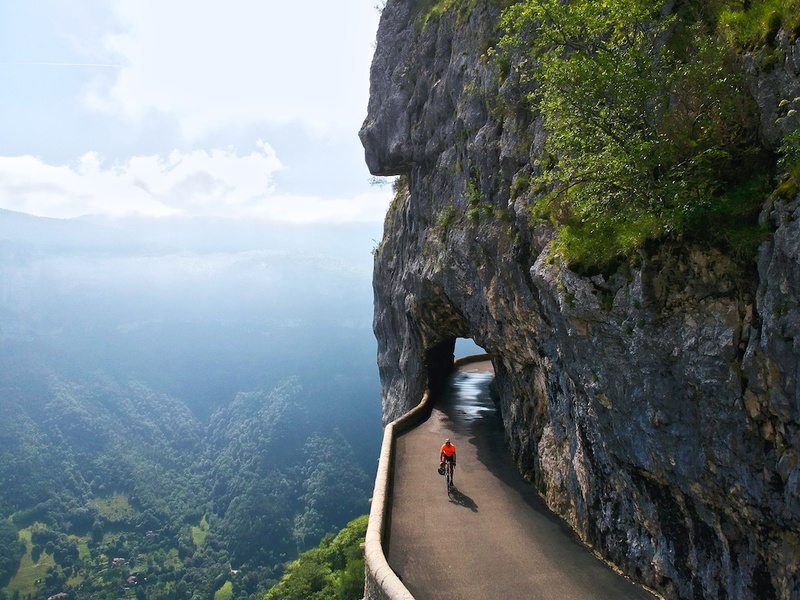 Your drone shots , especially of these amazing cliff roads are truly in a league of their own. I tried last summer to ride up to the Combe from St. Jean but the road was under construction and instead I climbed the other side of the valley which was still a great ride. It looks like it’s well open now! 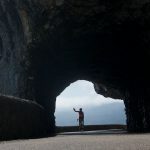 More inspirational writeups :]….Do you know if you can still do your old ride…..is it still possible to get down Grand Goulets without going through the tunnel?? my understanding is the old Grandes Goulets road is completely fenced off and everyone is forced to take the big road. Excellent loop Will. I did it on a beautiful day last week. It looks to be fun in the opposite direction as well. Thanks as always for the maps, the useful info, and the stunning photos. I’m planning to do that in august, do you think there are a lot of traffic? It’s generally very quiet. Of course, a weekend afternoon in August might be a little busier. Did the Combe Laval, Col de la Bataille route today, superb, highly recommend. Done the route before so as a variation took the D748 right turn about 2k before Leonce. Superb single track descent with great hairpins which eventually joins the main road again. Thank you Will ! While I Leave here in this region (Royans / Vercors) I can just be grateful and encourage people to discover this beautiful nature here. Thanks for posting you advice on the Vercor. We are there just now with our tandem. Absolutely stunning. I have booked four nights in Vercor 19-23 July, 2019 (Saint-Jean-en-Royans). There are so many rides to choose from. I found four links below (incl. this page) on your site. Would you please do me a favour and rank them in order of your favouritism? 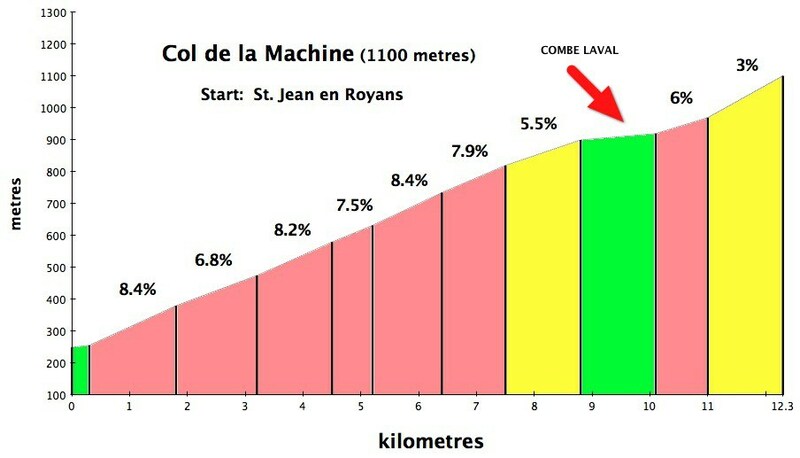 I am assuming Combe Laval, Col de la Bataille Loop would be #1. It looks specatcular while at the same time having only 1600 m climbing? 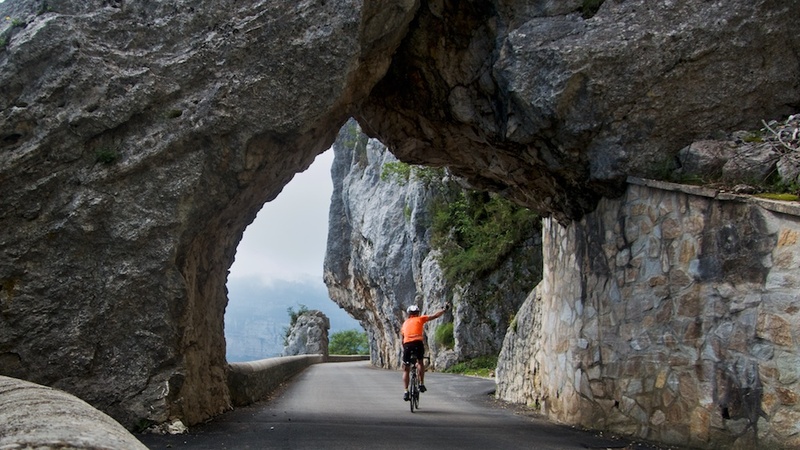 John, I’d actually probably put the 5 cols, two gorges ride first. The other three are all pretty close. 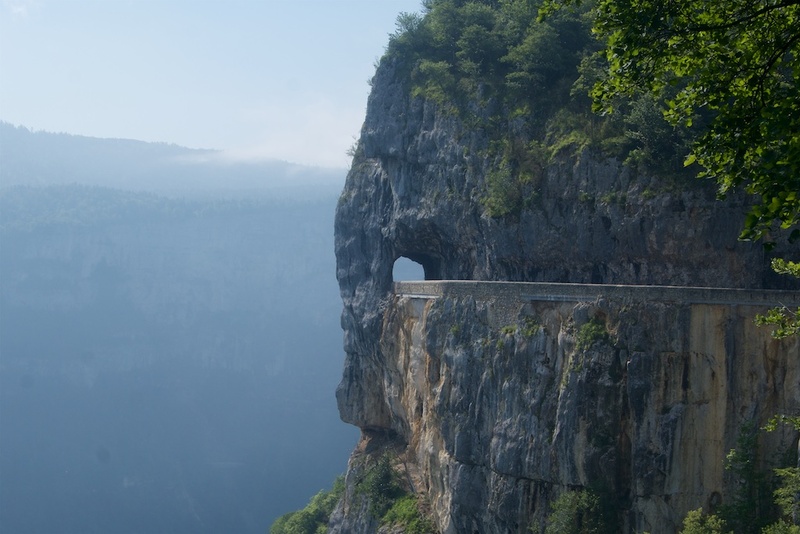 Combe laval is truly special, but it’s only a 2 or 3 kilometres along the cliff stretch.